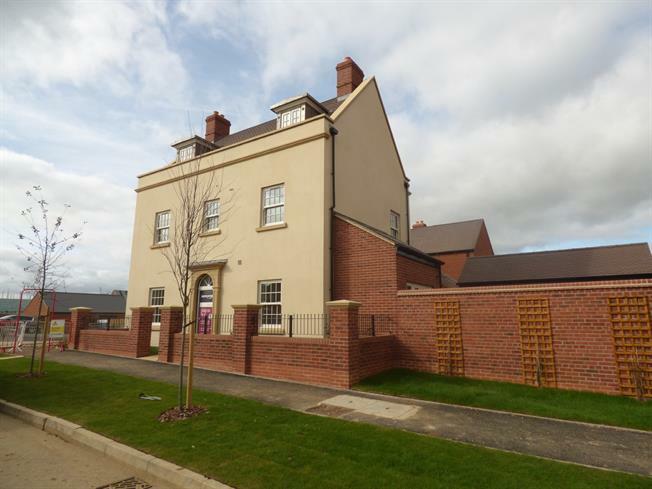 Detached House For Sale in Northamptonshire for Asking Price £470,000. .The Orford is a fantastic four bedroom detached family home offering an open plan kitchen/dining/family area, professionally landscaped garden, plus a separate utility area. The double aspect lounge/study. There is also a downstairs cloakroom. Upstairs to the first floor you will find three double bedrooms, with one of them featuring en suite facilities and a dressing room, complete with a fitted wardrobes. To the second floor is home to the Master bedroom which also enjoys the luxury of a dressing room with fitted wardrobes and en suite facilities. There is also additional storage.